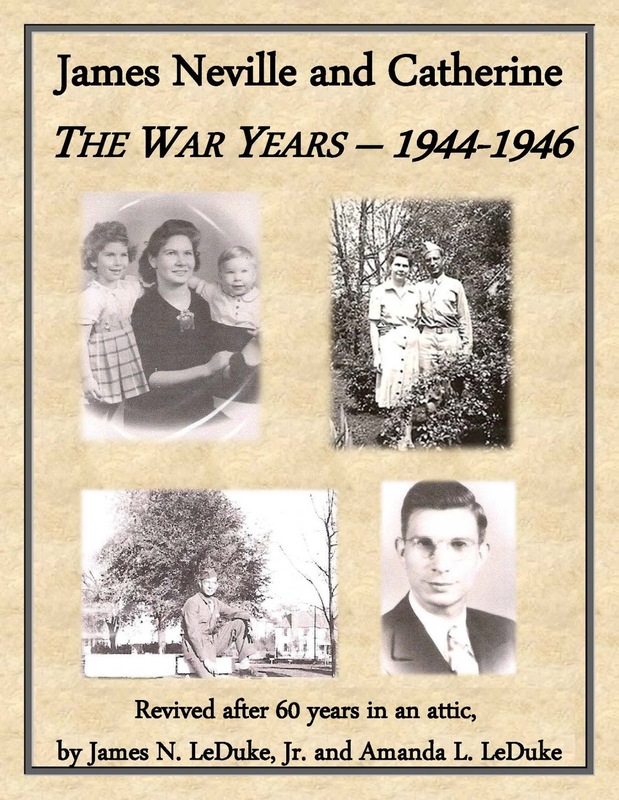 Earlier this week, we posted Chapter One of the book my daughter and I have put together of Catherine and James Neville's letters to each other during World War II. As promised, here's Chapter Two. 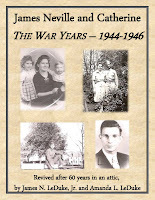 If you're a few posts behind, you can see the Foreword and Introduction here. We'll be publishing select chapters in the coming weeks. If you're interested in a copy of the book once it comes out, let us know. James Neville's two day journey west from Camp Shelby in Hattiesburg, Mississippi to Camp Barkley in Abilene, Texas provided us with the first example of his "troop-train travelogues". With nothing else to do but look out the window and record the names of each small-town train depot, Catherine was able to accompany him on most of his trips from Post to Post for 26 long months. These letters were written on a variety of types of papers, with an even wider variety of pens and pencils. Since you cannot hold in your hands the actual envelopes containing these epistles, this picture will just have to suffice. 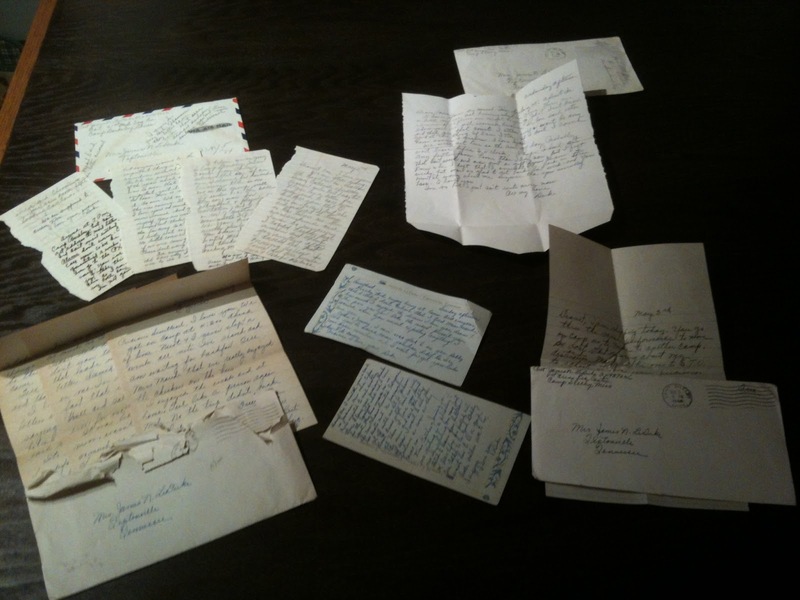 All the letters shown here were written on the train trip and mailed once he arrived at Camp Barkley. One of the letters is an "unfolded" blank envelope, used as paper, then refolded and placed into another envelope. This is actually not our first "Train Letter" from James Neville. Detailed in Chapter Seven of the James Neville and Catherine: A Love Story book is a letter written on the long trek made from Tiptonville to Spencer and Burritt College in 1936; a truly hilarious 16 page tome written in part on the "torn out" inside title pages of a book he had brought with him on the trip. Daddy's "train letters" were eagerly anticipated by Amanda and I as we "rode along" with him during our time-travelling adventure. Three days and two nights to make a journey that today would take 12 hours across Interstate 20 today. James Neville and 75 other soldiers in the group from Camp Shelby arrived in Abilene, Texas around 7 pm Friday, May 5, 1944. They have been assigned to the Medical Corp and are moved to Camp Barkeley to begin their basic training. They have been assigned to a quarantined area of the Camp which is standard procedure and they will remain in a quarantined status for three weeks. Pvt. LeDuke is assigned to Hut 11 and finds himself among quite a mixed group of men. There are, in his words, “9 Mexicans, 1 Russian (American, but born in Russia), 1 half-breed, 3 Americans (myself one), and 1 of Chinese extraction.” He says, about the “Americans,” “One is 18 years old and out on a lark, the other is as miserable as I am.” All of these men though are of course United States Army soldiers. In later letters he begins to describe in detail more information about each of these men, mentioning them by name. By the end of his time there he will have become particularly fond of the Chinese man, James Yen Lee. In addition to the drilling and the classes, they can expect the normal Army pleasantries such as KP duty, guard duty, barracks inspections, and lots of five and ten mile hikes carrying full packs of gear. By Wednesday James Neville is checking the Army manuals to find out what the maximum punishment is for going AWOL. Fortunately he has second thoughts, writing, “I learned this morning the 3 types of court martial and decided to be a good little boy.” Misery has followed him from Camp Shelby and brought friends. Click here to read the rest of Chapter Two.